In South Africa, a contract forms the basis of enforceable legal obligations and corresponding rights between two or more contracting parties. The South African law of contract is not codified, but finds its source in the common law, which changes and adapts over time. Contractual claims are easier to enforce where a written contract exists. However, most oral contracts (save for contracts for the sale of land) are enforceable in South Africa, although they are often far more difficult to substantiate. 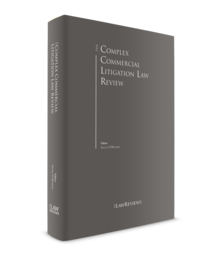 This chapter will focus on an overview of the most notable aspects of the law relating to the formation, interpretation, performance, enforcement and litigation relating to commercial contracts in South Africa. This consensus must be expressed in an outward manner, in the form of an offer and corresponding acceptance. In terms of South African law, an offeror may withdraw an offer at any stage prior to acceptance. the acceptance must take place before the offer terminates or expires. The contract must leave no ambiguity in respect of the material terms, which must be certain and agreed. This is in order to ensure that each of the parties know exactly what their rights and obligations are. This refers to the ability of a party to understand the nature and effect of the contract. Usually people above the age of 18 are considered to have the capacity to contract. In order for a contract to be valid, it may not be contrary to the law. An illegal contract is one that contravenes either a statute, the common law or public policy. The contract must be objectively capable of performance at the time of entering into it. If the contract is subjectively impossible (e.g., a specific party cannot perform a specific obligation owing to their personal circumstances) or if it becomes objectively impossible after it has been entered into, there will still be a valid contract at inception. Certain statutes prescribe formalities in respect of particular types of contracts; these will be discussed in more detail below. In some instances, parties may also include their own formalities. There is no general requirement in South Africa that a contract must be in writing. Oral contracts are enforceable, as long as the requirements for the formation of a valid contract have been met. However, in the case of an oral contract, it is often difficult to prove that the requirements for formation have been met. The burden rests on the party alleging the existence of the contract to show, on a balance of probabilities, that the contract was formed. South African courts will usually look at the conduct of the parties, in order to establish whether a contract has been formed and what its terms are. Despite the above, there are certain statutes that require contracts to be in writing in order to be enforceable, such as the Alienation of Land Act 68 of 1961, which requires all contracts for the sale, donation and exchange of land to be in writing and signed by the parties. A 'suspensive condition' in a contract suspends the coming into existence of the contract until the condition is fulfilled. The contract will not be binding until those formalities have been met or, if possible, waived by the party for whose benefit the condition was inserted. Once these requirements are met, a binding contract is said to come into existence. A defendant can challenge a contractual claim by alleging that the above elements were not satisfied. Under South African law, a party can usually, informally, vary a contract. However, it is common to find 'non-variation clauses' included in contracts. In the case of SA Sentrale Ko-op Graan maatskappy Bpk v. Shifren,2 the then Appellate Division held that a verbal variation of a contract containing a non-variation clause is of no effect. Parties are free to choose the substantive law that they wish to govern the contract. That law will then govern substantive aspects relating to the contract such as its formation, interpretation, validity and termination. In the event of a dispute, a court will determine the governing law (also known as the proper law) of the contract at the outset and will give effect to the law chosen by the parties, subject to certain exceptions (such as the fact that the chosen law will not override local statutes that are directly applicable). If the parties have not expressly chosen the substantive law of the contract, a South African court will determine if there is a tacit choice of law. This is done by trying to determine the parties' intention at the time of concluding the contract, through a consideration of factors such as the surrounding circumstances and any references in the contract to statutes of a specific country. If no tacit choice can be found, the court will assign a law to the contract by determining which legal system is most closely connected to the contract. This is usually either the place where the contract was concluded or performed. A conceptual difficulty arises in instances where the conclusion of a binding agreement is in dispute. If there is no binding agreement, then no proper law has been chosen and the question is then what law must a court apply in order to determine the validity of the contract? A leading South African author (CF Forsyth, Private International Law) suggests that the approach adopted in English law ought to be applied in South Africa; namely, the question must be determined by applying the law that would have been the proper law, had a valid contract been concluded. This question has not yet been answered by South African courts. In South African law, when interpreting a contract it is first necessary to determine what terms form part of the contract. A party who alleges that a term forms part of a contract bears the onus of proving that the parties intended it to form part of the contract. South African law recognises three types of terms, given below. This is a term that the parties expressly agreed to include. There are four rules that the courts utilise in order to determine whether an express term forms part of the contract. If a contract refers to a separate document with sufficient certainty, it incorporates the terms of that separate document. The rule has, however, been heavily criticised over time, particularly owing to the fact that it contains various exceptions, which can become confusing and defeat the purpose of the rule. This rule states that a person who signs a contract is bound to all of the terms contained therein, even if he or she did not read them or intend to be bound by them. The rule is an exception to the principle that parties must reach subjective agreement on the terms of the contract. if the other party took reasonable steps to bring the terms to his or her attention. An example of such a contract is an indemnity contained at the entrance to a building. An implied term is a term that forms part of the contract by operation of law (either by statute or through the common law). These terms automatically apply to a contract, even if agreement on the terms was not reached by the parties. However, parties may, in some cases, choose to change or exclude an implied term, by express agreement. These terms are implied where a practice in a trade is so established that it is assumed to form part of the contract. Once it has been determined what terms are applicable to the contract, their meaning must sometimes also be interpreted. The law in this aspect has recently evolved; however, it is useful to explain the 'three-stage approach' that previously applied, given below. As stated above, the parol evidence rule states that the court may only look at the contract to ascertain the meaning of the express terms, as this reflects the intention of the parties. A court would first look at the written words used by the parties when entering into the contract. The written words would then be applied, even if an unfair result was reached. Additional factors could be taken into account only where the meaning of the term was not clear from the contract itself. If the above two stages still resulted in ambiguity, then the court would allow evidence of what was said during negotiations. the contra preferentem rule is used as a last resort and states that a term will be interpreted against the party who was responsible for the drafting of the clause. The above-mentioned 'staged' approach has been severely criticised in the past, and recent developments have seen a move towards a less formalistic approach to the interpretation of contracts. In this regard, South African courts recognise the concept of 'substance over form', and a move towards a method of interpretation that gives effect to the intention of the parties has been seen in recent jurisprudence. The recent Supreme Court of Appeal judgment in Bothma-Batho Transport (Edms) Bpk v. S Bothma & Seun Transport (Edms) (Bpk)7 emphasised that, although the starting point of contractual interpretation remains in the words of the document (as this is the only medium through which the parties have expressed their contractual intention), the process of interpretation does not stop there. The literal words should be considered in the light of its admissible context; this includes the circumstances in which the document came into being. As such, it seems that interpretation is no longer a process that occurs in stages but is 'essentially one unitary exercise'. Rectification takes place when a written contract, which incorrectly reflects the parties' common intention, is rectified to reflect their intention. The party claiming rectification must prove the common intention of the parties, that the document incorrectly reflects the intention and that the incorrect recordal was the result of a mistake of the parties. high court: disputes with a value above 400,000 South African rand or appeals from the magistrates court. A party may subsequently appeal to the Supreme Court of Appeal or the Constitutional Court. South African courts will give effect to the parties' chosen method of dispute resolution and to their chosen jurisdiction. South African courts will usually decline to hear a dispute in the event that the parties have expressly agreed to arbitration (or some other form of dispute resolution mechanism), in order to give effect to the parties' agreement. There are, however, instances where a party may approach a court for interim relief, pending the conclusion of the arbitration or alternative dispute resolution mechanism. Jurisdiction clauses, in terms of which parties expressly agree that a contractual dispute will be determined in a particular jurisdiction, are also enforced by South African courts. A South African court will defer to the jurisdiction of a foreign court in instances where the parties have agreed to submit to the jurisdiction of a foreign court. It is important to note These clauses do not oust the jurisdiction of the South African courts per se. Instead, a South African court will elect not to hear the matter, in order to give effect to the agreement between the parties. 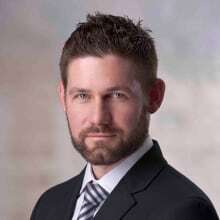 In order for a jurisdiction clause conferring jurisdiction on a South African court to be valid in South Africa, South African courts require the presence of a 'link' between the territory where the court operates and the parties, or the facts of the dispute. If no link exists, a South African court will not entertain the dispute even if the parties agreed to litigate in South Africa. South African law recognises four different types of breach, given below. the performance remains objectively possible. the other party has performed. The innocent party must then make an election as to whether it intends to accept the repudiation and cancel the contract, or to hold the breaching party to the contract (in which case the innocent party will also need to indicate that it is willing to perform).9 As will be explained further below, the innocent party may also claim for any damage it has suffered, regardless of this election. the breaching party must be at fault. This occurs when defective performance is delivered by a party to the contract. The party alleging that a breach has occurred bears the onus of proving, on a balance of probabilities, that the other party has breached the contract. As has been set out above, certain formalities must be met before a valid, binding contract can be said to have been formed. One of the most common ways that defendants seek to avoid the enforcement of contractual obligations is to argue that there is no valid contract. any performance already made must be returned. In order to reach consensus all parties to the contract must have the necessary capacity to understand the nature of the contract and the consequences of entering into the contract. minors: the age of majority in South Africa is 18 years. Anyone below this age does not have full contractual capacity and minors below the age of seven years have no contractual capacity. Illegal contracts are not capable of enforcement. A contract may be illegal owing to contravention of a statute or the common law. If the terms of a contract are not certain (or ascertainable), that contract will be void for vagueness. As long as performance is ascertainable, for example, if performance can be determined by the application of a formula or method, the contract will not be void for vagueness. In the case of Southernport Developments (Pty) Ltd v. Transnet Ltd,12it was held that a contract where the parties agree to negotiate a second contract is not void for vagueness in the event that there is a 'deadlock breaking mechanism', in the event that the parties cannot reach agreement on the second contract. legal impossibility:13 this occurs when parties are prevented from performing by virtue of a statute or legal rule (however, the contract is not necessarily illegal). A contract can only be avoided by a defendant in the event that there is an objective impossibility that exists, prior to entering into the contract. In some instances, performance becomes impossible after the contract has been entered into. This does not mean that the contract is void; however, such circumstances do lead to other remedies that are dependent on who bore the risk at the time that the impossibility occurred. Formalities in respect of contracts can be prescribed by statute, or self-imposed. Non-compliance with these formalities will usually render the contract null and void. As has been stated above, a contract will not come into existence unless the suspensive conditions, to which it is subject, have been met. A suspensive condition may also be waived by the party for whose benefit the clause was inserted. In the event that the guilty party brings a claim against the innocent party, the innocent party may raise the exceptio as a defence. South African law recognises a prescription period or time limitation period of three years for the enforcement of an ordinary debt. A defendant can therefore raise the defence that a claim has prescribed, after the lapse of three years from the date when the debt arose. What exactly is meant by the word 'debt' has been a subject of debate over the years. A claim for damages, for example, can no longer be enforced after a period of three years has lapsed from the date that the damage was suffered. It has, however, been recently held that a claim for return of property is not a debt that is subject to prescription. In certain instances, the requirements for a valid contract may have been met; however, it may be the case that one of the parties acted improperly in obtaining the consensus of the other party. These contracts are not void, but 'voidable' at the election of the innocent party. Such improper conduct includes misrepresentation, duress and undue influence. These will be dealt with below. The misrepresentation must be a material one, in the sense that a reasonable person would also have been induced to contract by the misrepresentation.16 Silence or a failure to disclose information will not usually amount to a misrepresentation unless there was a legal duty to disclose the information. Although fault on the part of the misrepresenting party is not a requirement for misrepresentation to be present, the degree of fault will play a role in what remedies are available to the other party. the buyer may claim that the purchase price be reduced to the true value of the goods. In this instance, an innocent party is induced to enter into a contract by threats of harm. The duress must consist of a threat of actual (or a reasonable fear of) violence directed at the innocent person, his or her property or his or her family. The violence must also be imminent or inevitable and must have the potential to cause damage. This occurs when a guilty party exploits the influence that it has over an innocent party, in order to induce the party to enter into the contract. The wrongdoer must have an influence over the innocent party, which is unconscionably used to reduce the innocent party's resistance and induces the innocent party to contract, to his or her detriment. When a party materially breaches a contract the innocent party must make an election as to whether it wishes to cancel or enforce the contract. If the breach is not material, the innocent party may only elect to enforce the contract. A claim for damages is available to the innocent party regardless of this election. An innocent party is entitled to insist upon performance under the contract, save in the event that performance is no longer possible. A claim for specific performance entails requesting a court to order that the breaching party deliver the performance that it has agreed to. However, the innocent party must at least tender full and proper performance of his or her reciprocal obligations. In South Africa, a court has the discretion to award specific performance. In the event that it does not view specific performance as the most appropriate remedy, it will not grant the order. In the event that performance is impossible or illegal as a result of the breach, this remedy is also not available and the innocent party can only choose to cancel the contract. If a breach is imminent, but has not yet occurred, an innocent party may obtain an interdict against the counterparty to prevent the breach from occurring. An interdict may also be a form of 'negative' specific performance, in the case of the breach of a negative obligation. in the case of mora, if the innocent party has placed the breaching party on terms to deliver the performance by a specified date. This is because the legal effect of cancellation is that the contract is extinguished and all performance already made must be restored.17 In the event that a party attempts to cancel a contract where there is no 'right' to cancel, that party will be guilty of repudiation. Contractual damages are usually claimed in conjunction with other relief (such as cancellation or specific performance). Punitive damages are not awarded in South Africa and a party is only entitled to the damages that it has actually suffered as a result of the breach. the loss is not too remote: this requires that the damage must have been reasonably foreseeable at the time that the parties entered into the contract, had such a breach occurred. special damage: harm that is unusual and arises owing to special circumstances of the parties. This type of loss is not generally recoverable, unless it can be shown that it was reasonably foreseeable, on the facts of each specific case. The onus to prove the above elements lies with the party claiming the damages. However, the plaintiff has a duty to mitigate his or her damages and cannot claim damages that have been suffered as a result of having neglected to do so. Parties can choose to include their own remedies for breach of contract in the form of a 'penalty clause' included in the contract. Such a clause generally states that the guilty party will pay a liquidated amount of agreed damages in the event of a breach. Penalty clauses are not contrary to public policy in South Africa. However, such a clause must comply with the Conventional Penalties Act 15 of 1962, which was enacted in order to protect parties from unfair penalty clauses. The Conventional Penalties Act states, among other things, that the penalty cannot be out of proportion to the loss actually suffered. The court has the power to reduce any penalty to such an extent as it may consider equitable in the circumstances. Over the decades, South African law of contract has evolved in order to adapt to the realities of modern commerce. Recent years have been no different, with forward-thinking judgments having been handed down, particularly relating to the move away from a formalistic approach to the interpretation of contracts. South African law of contract is now more focused on the intention of the parties and recognises that the manner in which the contract has been written may not always reflect the reality of the agreement. It is anticipated that the concept of 'fairness' and the emphasis on the 'intention' of the parties will continue to become more prominent in the South African law of contract over the next year. 1 Jonathan Ripley-Evans is a director and Fiorella Noriega Del Valle is an associate at Herbert Smith Freehills. 2 SA Sentrale K-op Graan maatskappy Bok v. Shifren 1964 (4) SA 760 (A). Confirmed in Brisly v. Drotsky 2002 (4) SA 1 (SCA) and Yarram Trading CC t/a Tijuana Spur v. Absa Bank 2007 (2) SA 570 (SCA). 3 Union Government v. Vianini Pipes 1941 AD 43 at Paragraph 47. 4 West End Diamonds Ltd v. Johannesburg Stock Exchange 1946 AD 910. 5 Reigate v. Union Manufacturing Co  1 KB 592 at 605. 6 Van der Westhuizen v. Arnold 2002 (6) SA 453 (SCA). 7 Bothma-Batho Transport (Edms) Bpk v. S Bothma & Seun Transport (Edms) (Bpk) 2014 (2) SA 494 (SCA). 8 Highveld 7 Properties v. Bailes 1999 (4) SA 1307 (SCA). 9 Moodley v. Moodley 1990 (1) SA 427 (D). 10 In Metro Western Cape (Pty) Ltd v. Ross 1986 (3) SA 181 (A), the court looked at the mischief that the statute was attempting to prevent, in order to determine whether it was necessary to invalidate the contract, as well as the balance of convenience in order to determine whether invalidating the contract would cause considerable unfairness to members of the public. 12 Southernport Developments (Pty) Ltd v. Transnet Ltd 2005 (2) SA 202 (SCA). 13 Wilson v. Smith 1956 (1) SA 393 (W). 14 Wynn's Car Care Products v. First National Bank 1991 (2) SA 754 (A). 15 Novick v. Comair Holdings 1979 (2) SA 116 (W). 16 Lourens v. Genis 1962 (1) SA 431 (T). 17 Nash v. Golden Dumps 1985 (3) SA 1 (A). 18 Administrator, Natal v. Edouard 1990 (3) SA 581 (A). 19 Thoroughbred Breeders' Assciation v. Price Waterhouse 2001 (4) SA 551 (SCA).